The Great Egret doing the happy dance was fishing with a group of mixed herons and egrets when he began to leap about and flourish his wings. I couldn’t tell why from the distance I was shooting until returning to my office to look at the photos and saw he had a minnow in his mouth. What a show-off! 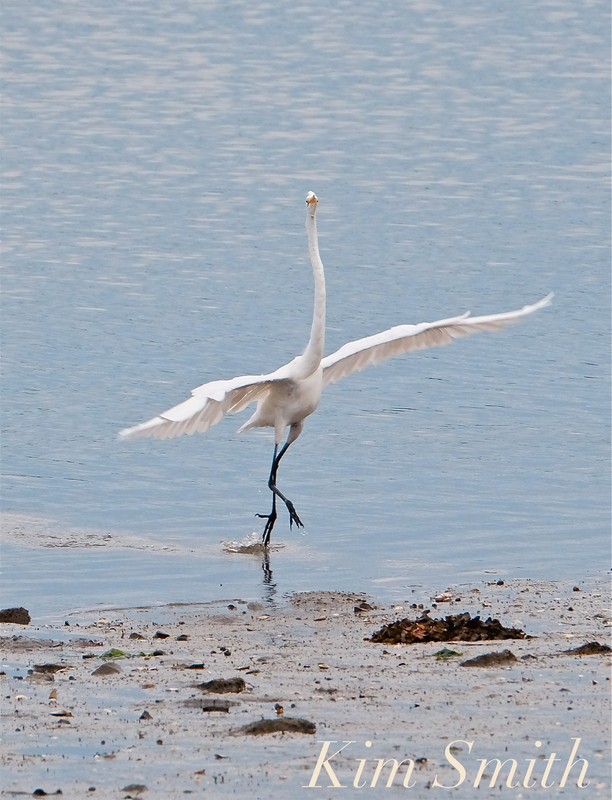 This entry was posted in Birds, Birds of New England, Life at the Edge of the Sea, shorebirds and tagged Ardea alba, Beautiful Birds of Cape Ann, Great Egret, Great Egret fishing, Great Egret foraging minnows on October 3, 2018 by Kim Smith. Lovely photo capture. Truly one of my favorite birds. Thank you.